Photo by Will Boase for IntraHealth International. Nurses heading community health facilities in Zambia improved their capacity to lead frontline teams to achieve high-quality services and advance universal health coverage through a 12-month blended learning program designed with technical contributions from IntraHealth International. Results from the initial application of the program were published in the December issue of Global Health: Science and Practice. 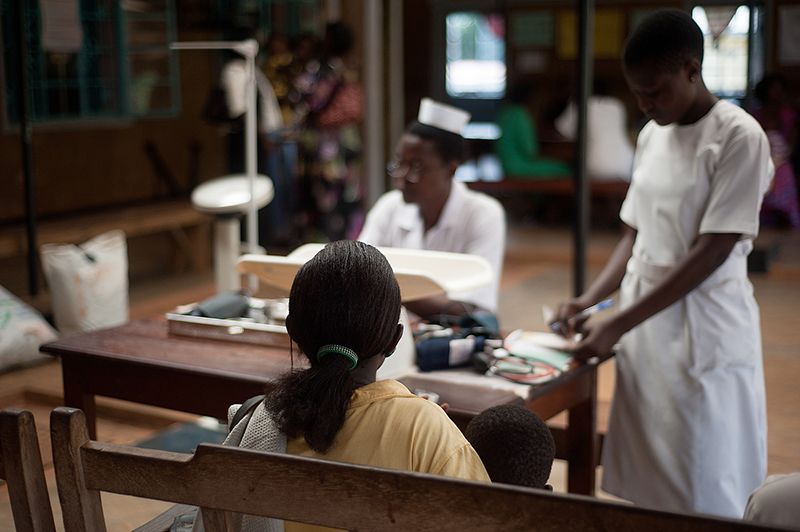 In Zambia, nurses and nurse-midwives lead more than half of rural facilities and guide primary health care delivery, including managing community health workers. Based on an assessment, the Ministry of Health had determined that improved leadership capacity and management skills of facility heads would help maximize Zambia’s investments in its community health system. Developed in response to this need, the learning program offers nurses the opportunity to earn a Certificate in Leadership and Management Practice and elevated job title. As a key component of the program, each nurse leads a community health improvement project in which they and their teams apply the practical knowledge and skills gained through the course. Twenty nurse facility heads from 20 rural facilities were selected to test the program content and delivery approach. Findings suggested the nurses had strengthened their leadership and management competencies, increased their ability to lead frontline teams, and improved their skills in use of technology—with demonstrated improvements in quality and accessibility of services. Increasing the number of fully immunized children under age one from 6% to 80%. Based on the success of the test application, the Zambian government is institutionalizing the certificate program nationally as a requirement for nurses assigned to lead rural facilities. The program may also provide an example for other countries seeking to strengthen the role of frontline nurses in advancing primary health care and universal health coverage. With leadership from the Ministry of Health, the program was developed by the Primary Health Care to Communities (PHC2C) initiative, with technical guidance from PHC2C partner University of Zambia and expertise from partners IntraHealth, Johnson & Johnson, and mPowering Frontline Health Workers. Johnson & Johnson funded the design and testing of the course.